Classical music performance artists dream of recognition in the places where concerts are sponsored by royalty. Here is the story of how an American composer rose to acclaim in the châteaux of European royals in the dreamtime of a single year. 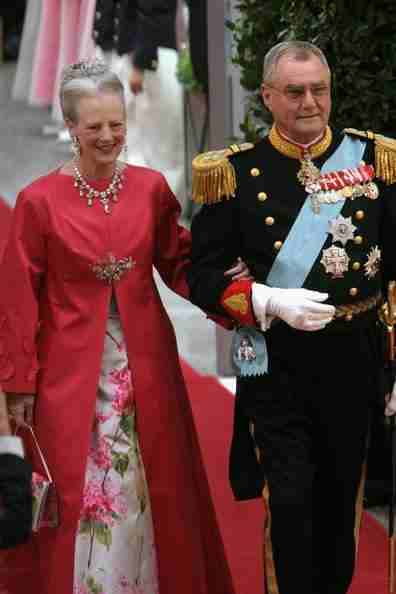 Henri de Laborde de Monpezat, as the husband of Queen Margrethe II of Denmark, is titled His Royal Highness, the Prince Consort of Denmark. A native French Comte (Count) before his wife came to the Danish crown in January 1972, Henri, or in Danish, ‘Henrik’ is a published poet of some regard, having authored five books since 1982, and a prize-winner in several European literary academies. 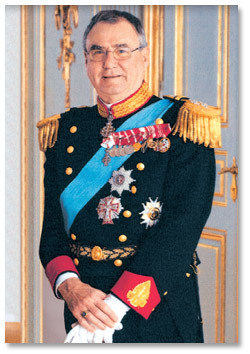 Prince Henrik writes in French and maintains a part-time residency at his château and winery in France. As it evolved, Prince Henrik and I have a great deal in common. We are both poets and collaborators to the same Franco-American composer Edmund Barton “Bart” Bullock. 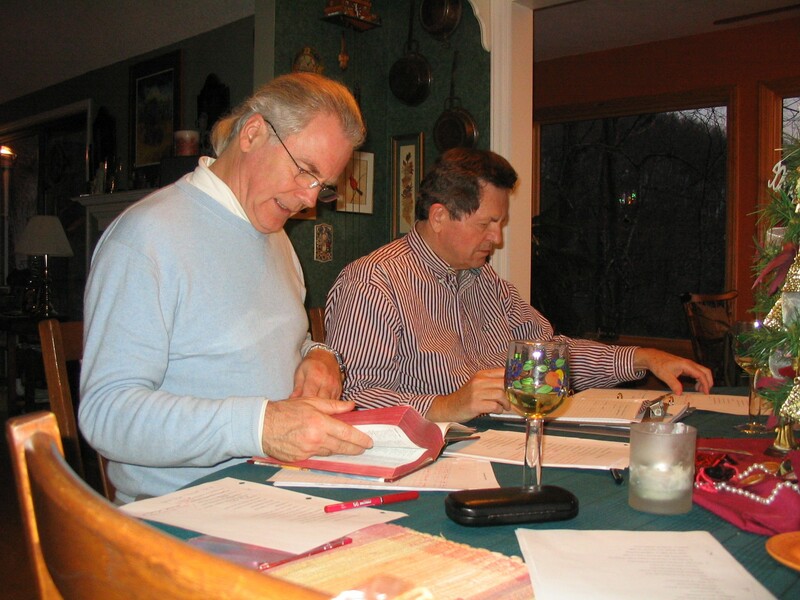 Long before Bart and I began our partnership on the oratorio, The Awakening of Humanity, Bart has had a long-term interest in the composition and performance of art songs like those based on the poetry of Prince Henrik. In 1999, Bart began a collaboration with the Académie des Jeux Floraux de Toulouse (Academy of the Floral Games), the oldest literary society in the western world, founded in 1323. 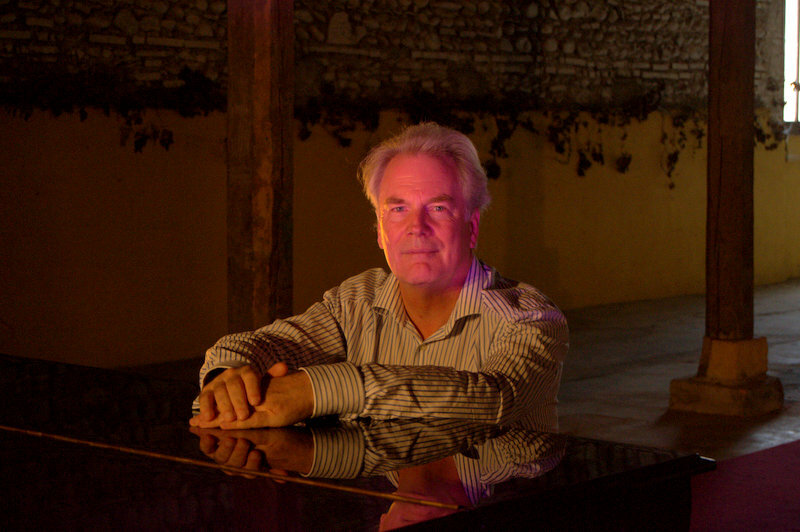 Bart composed an art song in 1999 based on a poem by Prince Henrik, “Descent on the river of the catafalque of Raymond VII, Count of Toulouse”, which opens his Cycle of Seven Arts Songs in honor of the Seven Troubadours and of Clémence Isaure, founders of the Jeux Floraux de Toulouse. The art song was composed with permission, but Bart had no personal contact with the Prince. 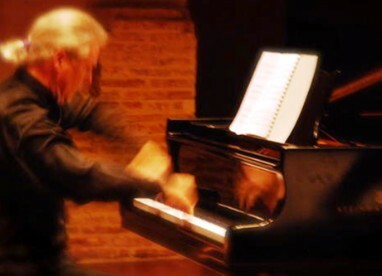 This work was premiered in the Clémence Isaure Hall in Toulouse in 2001, with a repeat performance that same year in a Carnegie Recital Hall concert in New York City. Then in August 2013, Bart’s friend and landlord Marquis Robert de Palaminy invited him to attend the annual charity concert sponsored by Prince Henrik and Queen Margrethe II. Bart decided to package the song cycle, published in the U. S., for Prince Henrik on the chance that he might be presented to him. When the Honorary Consul of Denmark in Toulouse, an acquaintance who was also attending the concert, learned about Bart’s gift package, he offered to convey it to the Prince. The Prince, an excellent classical pianist himself, was able to read the score and was impressed enough to call Bart to him during the concert intermission. Thus began a conversation about music that led to Bart being invited to the Prince’s after-concert dinner party. Amid a roomful of close friends and family of the Prince and Queen Margrethe II, the Prince asked Bart if he would compose another art song from a poem that he had written about Toulouse. The composition of that song led the Prince to send Bart a book of his poems for the creation of an art song cycle that he would commission. The commission of the six new art songs included a performance contract to perform the music at the Prince and Queen’s 2014 benefit concert. The arc of that year between concerts must now seem as magical as a fairy tale for Bart. Thursday, August 21st at 6:30 p.m. As sponsored by Prince Henrik and Queen Margrethe II, Bart will perform his Three Tango Fantasies, a Cycle of Seven Troubadour Art Songs, a Cycle of Six French Art Songs based on Prince Henrik’s poems from the poetry book “Cantabile,” and his Prélude Elégiaque, from the oratorio Le Cortège de Lucie, based on the libretto by the Franco-Belgian poet and philosopher Bernard Van Brugghe. The second half of the concert will hear Bart play famous Opera Arias with mezzo-soprano Christine Labadens. A DVD recording will be made of the concert with a royal dinner party to follow. Bart was no stranger to French nobility when he began his collaboration with Prince Henrik. 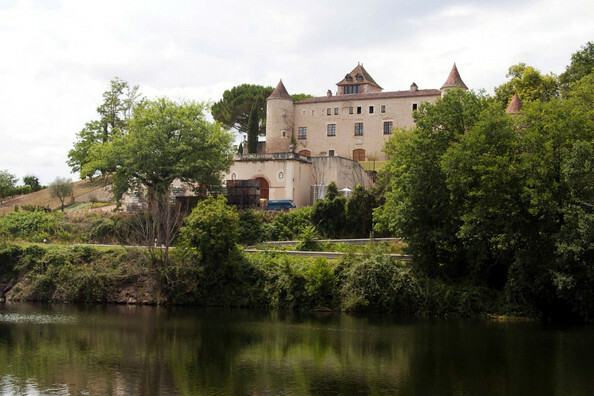 His home base in France is on the estate of the Marquis and Marquise Robert and Jeanne-Marie de Palaminy. Bart had leased the historic estate manager’s cottage, on the grounds of the Château de Palaminy . In cooperation with the Palaminys, he has restored it to be the ideal composer’s environment. Interior alterations allowed for the entry of Bart’s huge Steinway D concert grand piano and a staging area to accommodate forty guests for intimate concerts in the composer’s home. 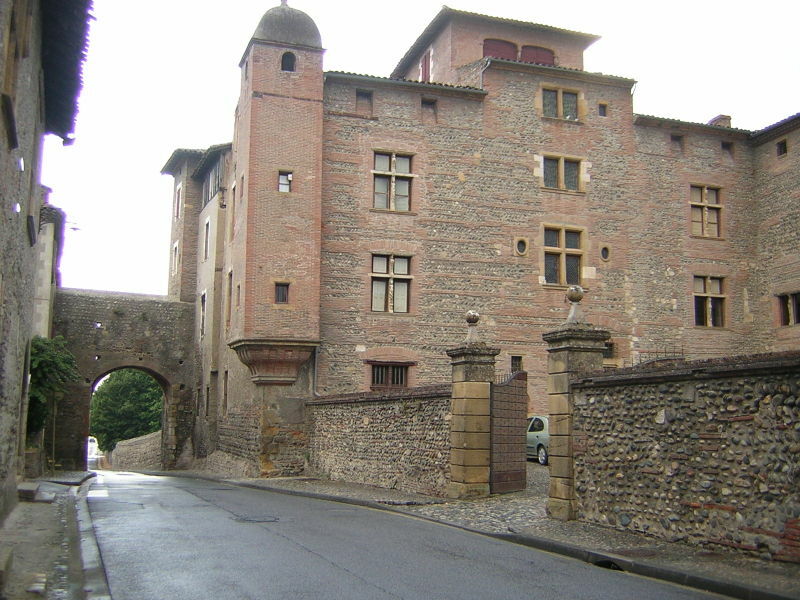 Bart also gave private concerts for the Palaminys and their guests in the old wine storehouse of the château, a late 18th century addition whose walls were built out of the distinctive Toulouse brick and stones from the adjacent Garonne River, a vast space with a wood beam ceiling seating up to 400 people. Other noble acquaintances then wanted Bart to perform at their château, so Bart was kept busy, making new friends and supporters at these intimate cultural gatherings. In addition to concert appearances in Europe and the United States and recording sessions of his major works, also on Bart’s agenda are my oratorio, The Awakening of Humanity, and his French oratorio, Le Cortége de Lucie. After the anticipated triumph of the Prince Henrik art song cycle concert in August, there is hope that it will be repeated in Denmark and the United States. My own collaboration with Bart will have the premiere performance of its first two movements on January 11th in Toulouse by the Ensemble Vocal Unité under the artistic direction of Christian Nadalet. Our hope is that the recording of this concert will stimulate interest leading to a commission for Bart to complete the entire six-movement work. We would like to see The Awakening of Humanity premiered in France with a symphony orchestra, followed by a United States premiere in Washington, DC or in our native North Carolina. I can also imagine a day when a concert program might include the Prince’s art song cycle as well as my oratorio. Perhaps as the attending collaborators, we would be introduced—Henrik as a Royal Prince and me with a kind of title awarded at birth. I am a Saint. St. Leger Moncure Joynes. I hope that my joke makes the Prince smile. We do, after all, share a composer.